It’s almost that time! Time to think about how you’re going to carve your Halloween pumpkins! 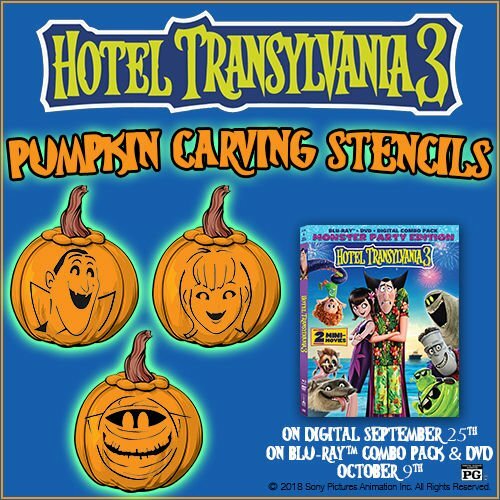 If you’re Hotel Transylvania lovers, you are going to want to use these HOTEL TRANSYLVANIA 3 pumpkin carving stencils. You can use them to make Drac, Mavis, and Murray pumpkins. Check out the link below this image to get your full-sized pumpkin carving stencils! Have you seen this movie yet? 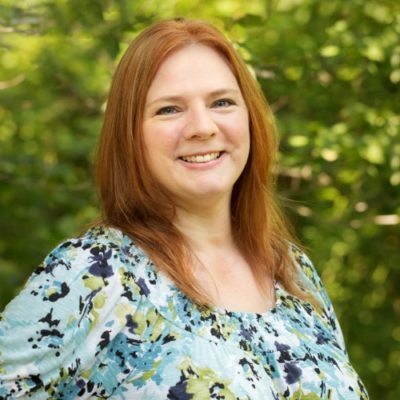 Do you want to enter to win a copy? If you’re in the US, go to my giveaway post and enter to win a DVD and Trick-or-Treating Pillowcase until October 16! In HOTEL TRANSYLVANIA 3, Mavis surprises Dracula with a family voyage on a luxury, haunted monster cruise ship. Of course, the rest of the Drac Pack has to tag along. That’s when things get a little…batty. The monsters are having a great time, indulging in all of the shipboard fun the cruise has to offer, from monster volleyball to colossus-sized buffets and exotic excursions. But the unexpected happens when Drac falls for the ship’s mysterious (and dangerous) human captain Ericka. The third film in this family-friendly monster franchise is the best reviewed installment and you’re invited along on the haunted cruise vacation!